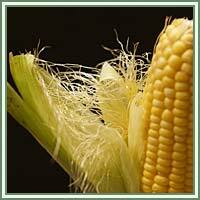 Habitat: Corn is a plant native to South America, domesticated by Native Americans. It prefers well-drained, fertile soil. Description: Corn is an annual crop which grows up to 3 meters in height. Its lower leaves are flag-like, broad and wide. It has separate inflorescences. Female inflorescences, the ears, are covered with layers of leaves and have green to yellow silks emerging from the leaf whorls. The male flowers form a tassel at the top of the stem. Useful components: Saponins, allantoin, sterols and stigmasterol, alkaloid, hordenine, polyphenols. 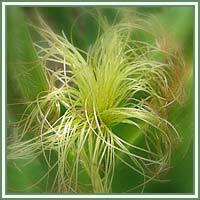 Medicinal use: Corn silk is considered to have detoxifying, relaxing and diuretic properties. Traditionally, Corn silk has been used in treatments of urinary and genital infections, stomach disorders, skin rashes and sore throat. Nowadays it is believed to reduce the formation of kidney stones, and that it can be a helpful remedy against cystitis, painful and frequent urinations.